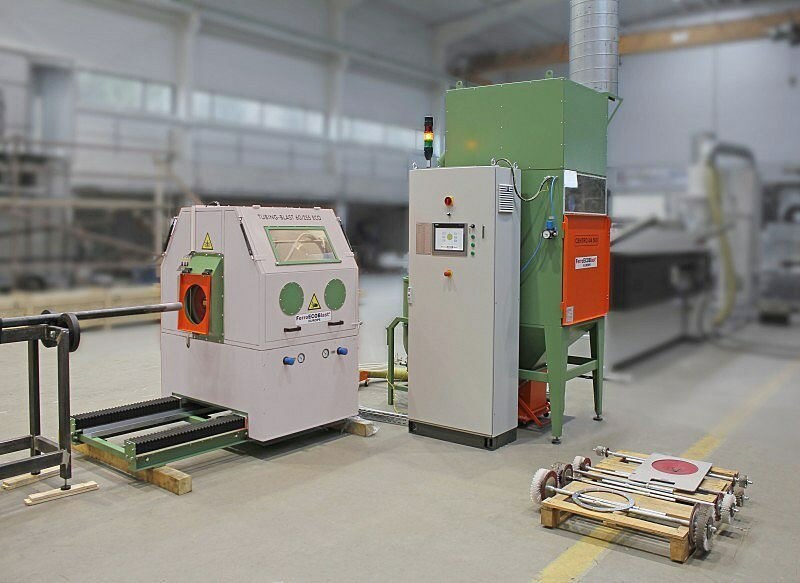 Automatic Machine for pipe blasting - FerroCrtalic d.o.o. Machine is used for inside blasting of steel pipes. Blast Machine is completed with Abrasive Recovery system and Filter unit in one closed system without any environmental unfriendly pollution. 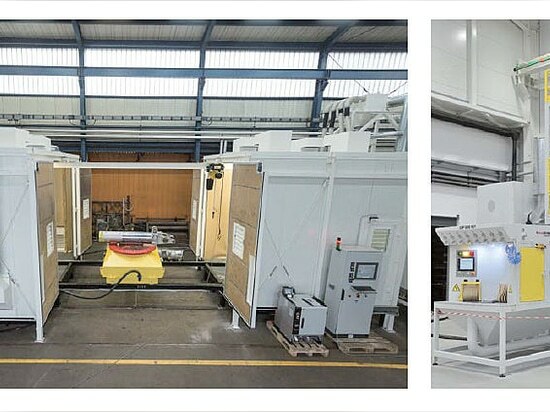 Completely equipment is fixed on the motorized movable platform with controlled movements in X axis, and the cabinet has an extra lifting device for controlled movement in Y axis. Transport and positioning of tubing pipes in front of the Blast machine is automatic. Marko Trajkovski, Application Development Manager at FerroČrtalič. 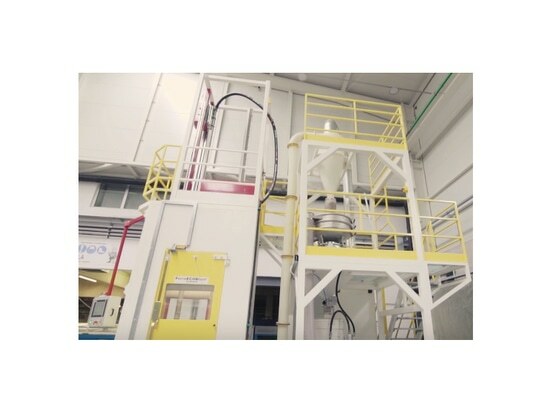 In interview, he covered novelties and highlights of the Research and Development Department related to our trademark FerroECOBlast, especially the latest innovations of advanced surface treatment solutions. 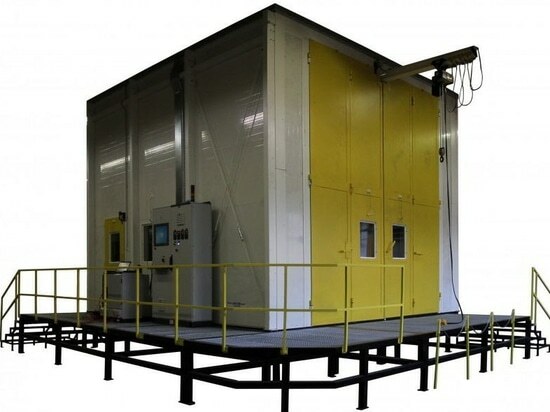 Special blasting system SHAFTBLAST 2500 ECO-VERT is designed for inside and outside blasting of jet engine shafts according to customer’s specifications. 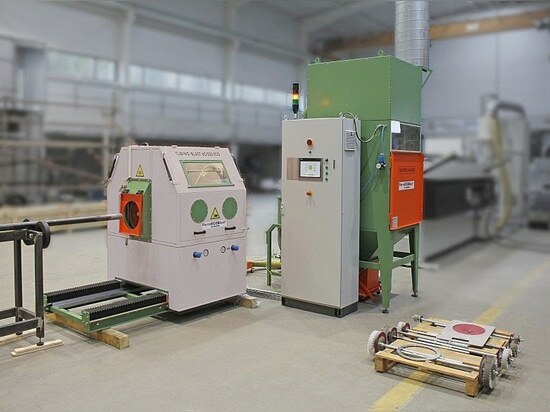 The machine is equipped with fully controllable automatic multi area blasting possibility with manual loading and unloading with automatic blasting cycle. Cleaning of railway wheels on the axes before Magneto-flux inspection.